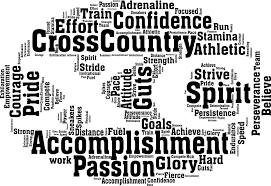 Now that the official Track and Field season is over, we can turn our attention to Cross Country. With the help of other coaches, we will begin to post pre-season rankings for all Northern California sections. In the meantime, feel free to speak your mind in the comment section below. Let's hear your thoughts on the upcoming season. Also, if you have any questions that you would like to ask other runners, coaches and/or parents, feel free to include those as well. I will start to build the cross country schedule so if you have any dates, please feel free to add those below. Coming up next: NCS Division III boys pre-season rankings! Yes! Cross Country has begun!!!! I'm really looking forward to the clashes between St Francis and Bellarmine for WCAL honors (and probably top boys team in the CCS). Last fall I thought it was wishful thinking among the Lancers faithful that they'd have a shot at the Bells this year, but it no longer looks like a long shot after seeing the 1600s and 3200s posted by the St Francis kids in track. Meika B-R and Scales are a formidable top 2, but Colonna may be right in there with them and it looks like St Francis might have more depth. By my count, St Francis has 4 returning kids who ran under 9:40 in the 3200 this season and 7 under 10:00, and Bellarmine only had 3 and 4. Relative depth in the 1600 was similar too. The Bells are still the favorite in my book, but it will be fun to watch. The fact that the St Francis talent caught up with the Bells this year is not a surprise to those watching the last two years. It became evident in the undercard matches. The JV and FS races have been very competitive and often tipped toward SF. The strength of the rising junior class, along with a few very good rising sophomores, bodes well for the next 2 years. Get out your popcorn, the WCAL is going to be a very fun ride this year. Um, Bell won all 4 levels at WCAL finals and out scored SF 19-54 in JV. I think they'll be fine. They are both going to be fine. The only question is, can SF make up the 7 points on varsity where they have all 5 scorers coming back and Bell loses one of theirs. While wins and loses at the lower levels are interesting, what is more telling is this: WCAL I 2 SF Sophs finished before the first Bell; and 3 SF frosh finished before the first Bell. WCAL II: 2 each F&S before the first Bell; and III 2 frosh before the first Bell. Like 8:27 said, the next few seasons will be fun to watch. NCS D2 Boys will be fascinating again. Dublin will probably still be on top, but we still have schools like Granada, De La Salle, Mission San Jose, and Amador in the mix for other spots. The race for top 3 going to Woodward will be interesting! Anyone agree? Driving by Hayward HS and the construction of the new stadium facilities makes me wonder 1) how much of the NCS course will change as all the transition areas from the main field to the stadium and Mendez loop have been cleared for construction also and 2) probably due to weather delays it appears to be way behind on costruction at the moment and how this may affect the XC season there? @12:15PM I agree, and I remember looking at the Farmer Invite website. It seems the course is unchanged from last year, which is definitely strange considering what you said. Agree and disagree with 2:59. Dublin looks stacked to repeat, Granada could challenge for sure. Would add Heritage as a possible wildcard for third spot. DLS loses strong #1, do they have the pack running firepower to group finish for that third spot, don't know if Amador has the numbers to hang. The team that is going to do a Houdini act and disappear is Monte Vista. All told, there are some terrific individuals returning - Schroeder, Pahnse, Scomparin from Dublin; Bennett from Granada; White from Clayton Valley Charter (qualified for state as an individual); Charvet from Heritage (qualified for state as an individual); and Livingston from DLS. @7:33 I agree mostly. Maybe you know something that I don't, but Heritage doesn't seem to have much depth to challenge for third (basing off of last year's XC times and past track season). Can anyone explain why NCS was given CCS's 3rd bid instead of SJS? If you add the places each qualifier from both sections finished at state and consider that each section's score, SJS wins by 18 in 2016, 21 in 2015, and 3 in 2015. In addition, NCS D1 is down to 8 teams this year, and 3 of their state qualifiers from the past 3 years have moved down to D2. NCS D2 is consistently strong, but for cross country, they're separated for sections and state, so it doesn't have any effect on D1. Does anyone have any insight into CIF's reasoning?